Smartphones with a headphone jack may soon become a rarity. Even staunch defenders of the analog output like OnePlus have axed it from their devices. 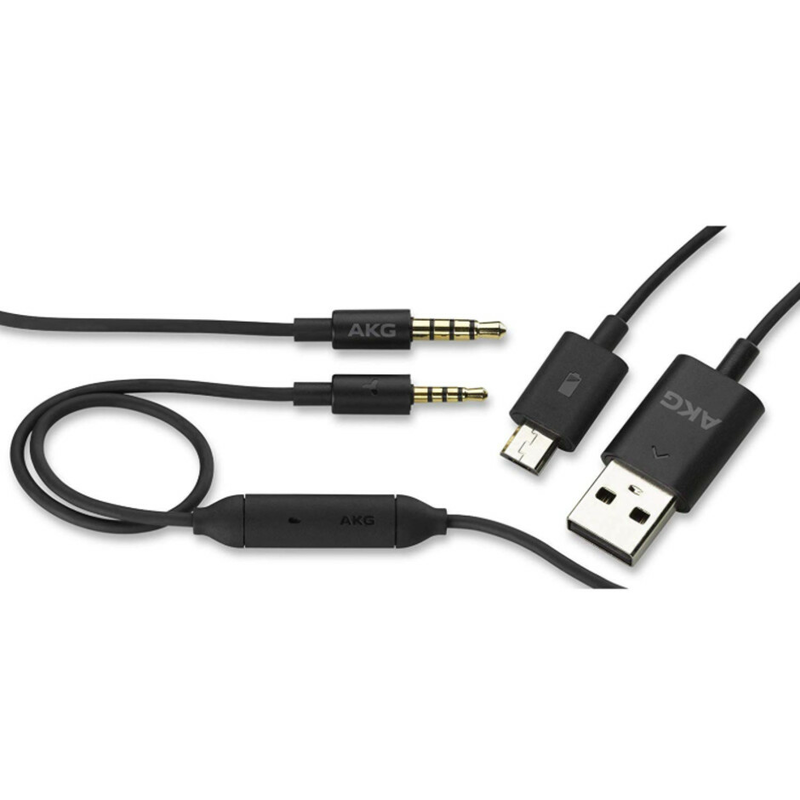 This leaves music enthusiasts with two options: either use a flimsy dongle or go wireless. Wait, what about USB Type-C or Lightning port headphones? 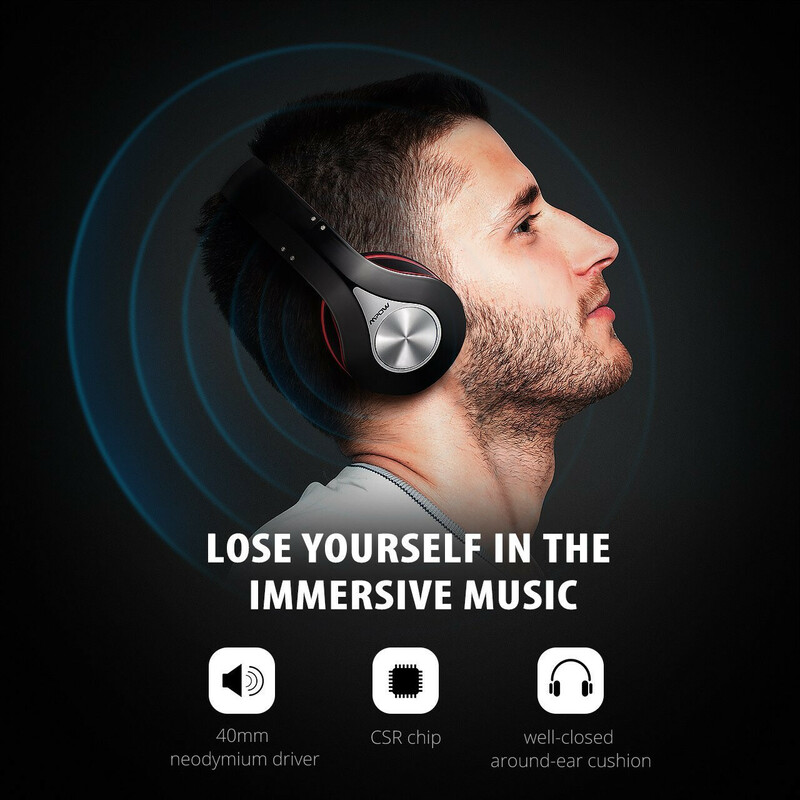 Well, in the on- and over-the-ear headphone segment, those aren't really a thing. So, if you're ready to part ways with your legacy cans, then you need to get yourself a decent pair of wireless headphones. With a market full of options from brands galore, that's easier said than done. 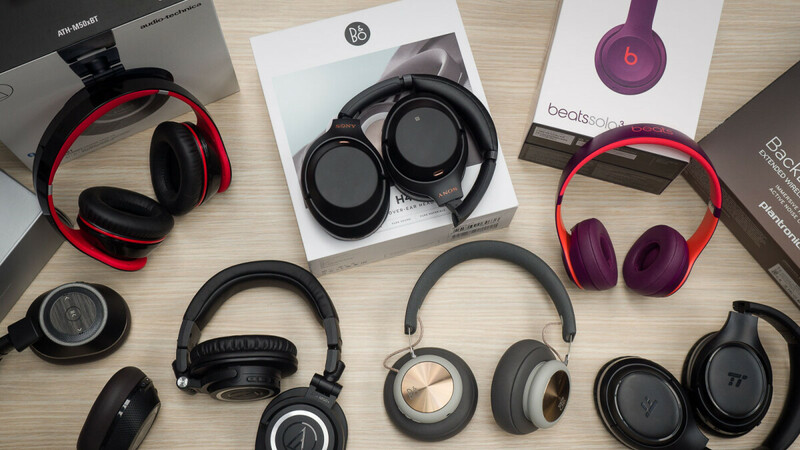 Which is why we've compiled a list of the best on-ear and over-the-ear headphones, separated into categories according to their current price. 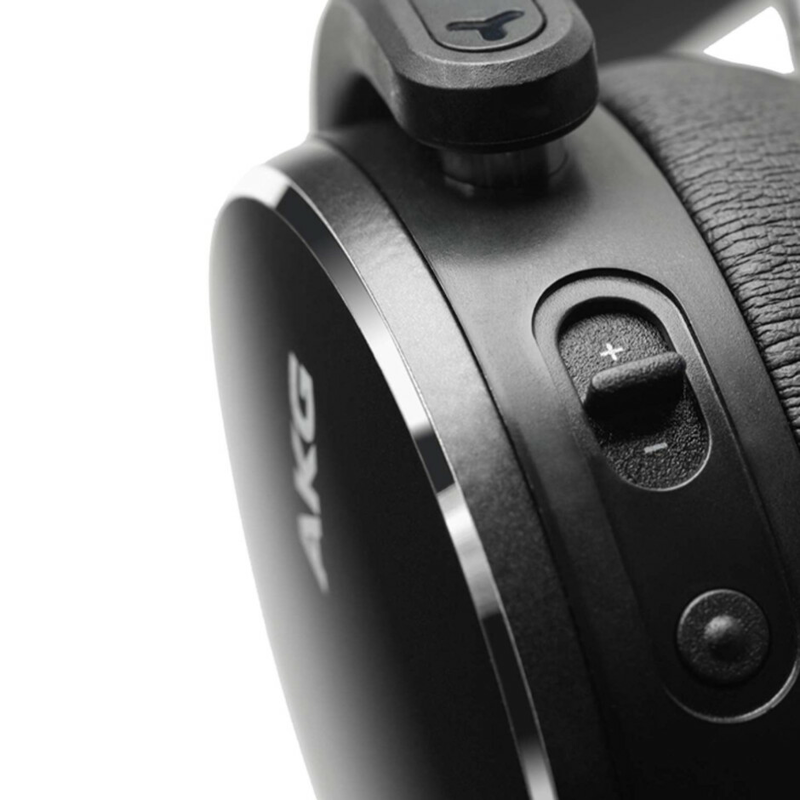 When it comes to truly affordable headphones, it really seems hard to tackle the Mpow 059. While you certainly shouldn't expect wonders when it comes to audio quality, these headphones offer plenty for their humble price. 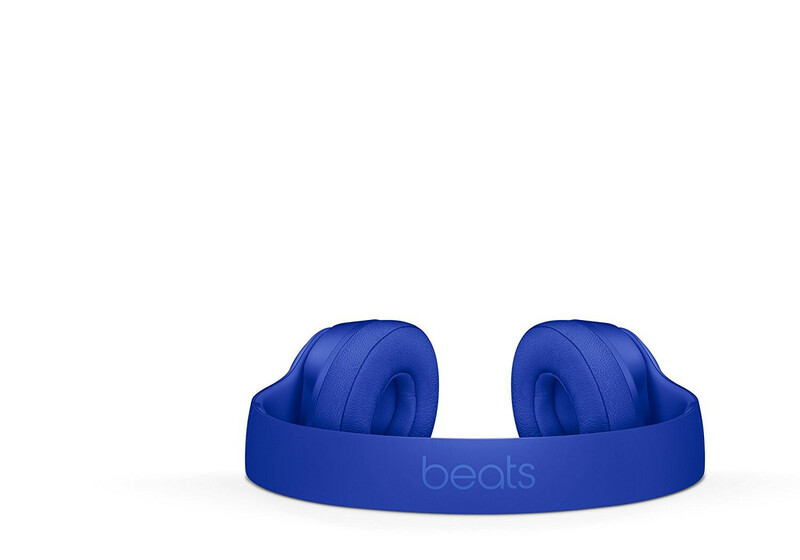 If you don't mind the beats-like design, these are actually nice to wear. 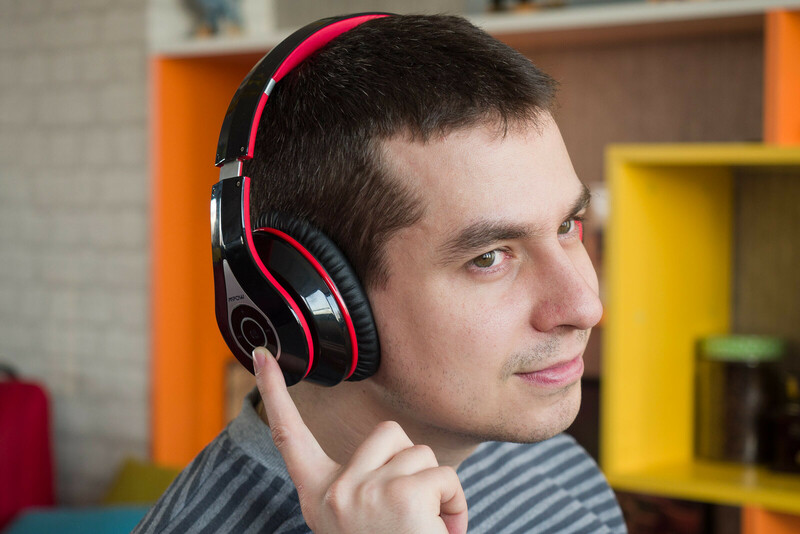 The earcups provide very good passive noise cancelation and are soft and roomy. The on-board controls allow you to accept calls, play/pause/change songs and adjust the volume. The 480mAh battery inside promises up to 20 hours of audio playback. While unlikely to satisfy a serious music listener, the Mpow 059 are a great budget option for a teenager that wants to go wireless. 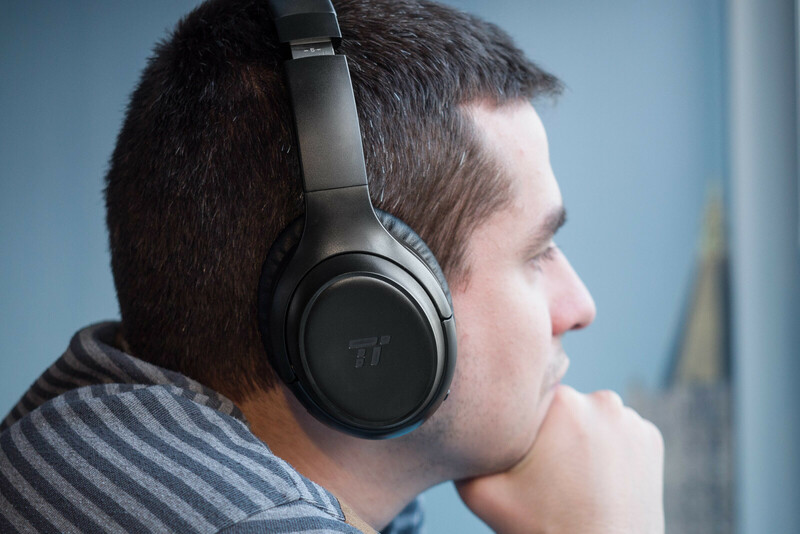 These TaoTronics headphones come with active noise canceling, which is one of their defining features, but is it the most important one? Hardly. 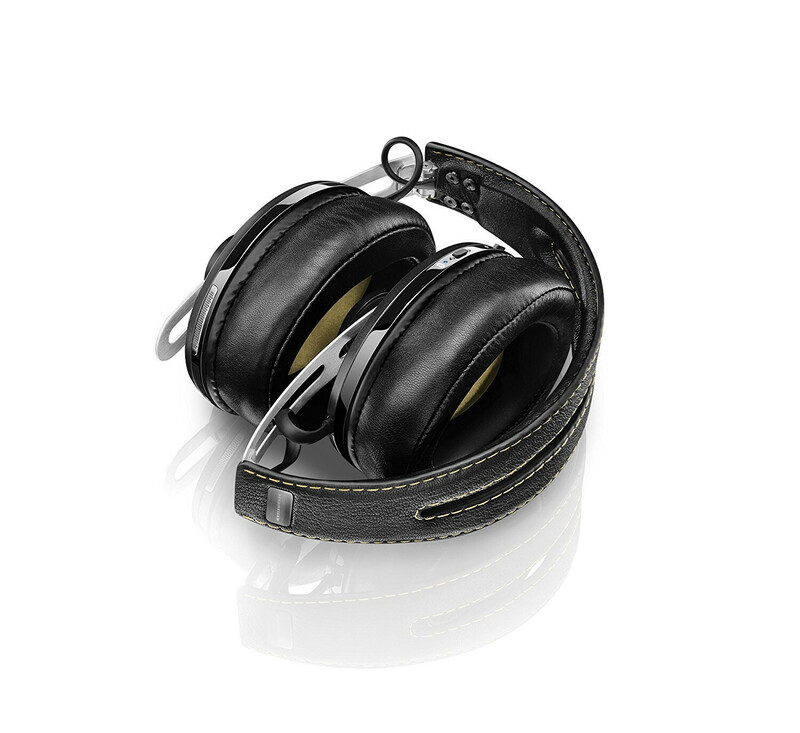 The 40 mm drivers, for example, provide clear sound in every frequency range. 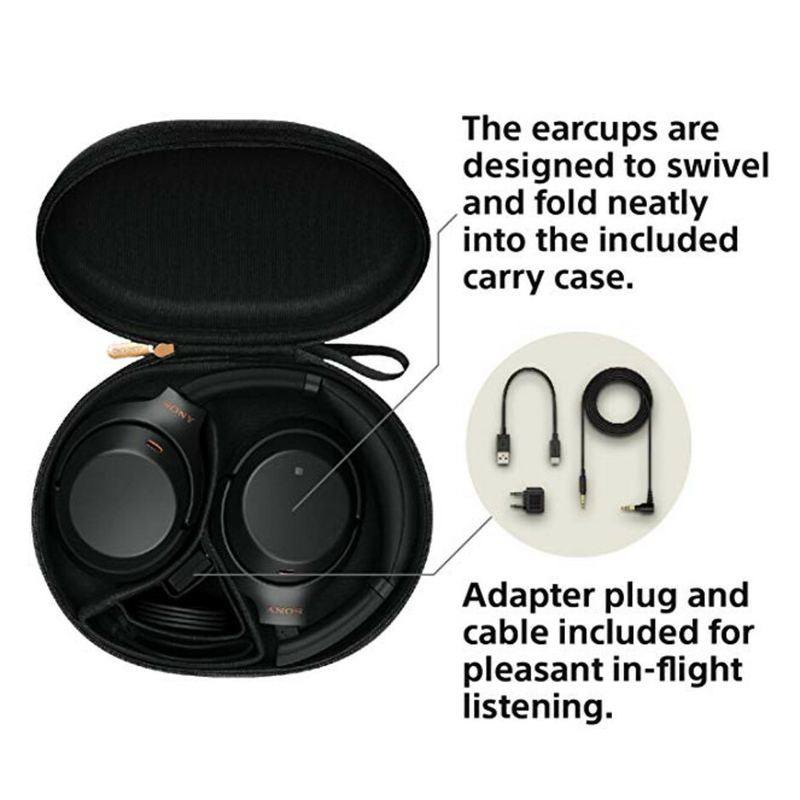 The earcups are relatively compact, but they can be folded when you need to carry them in your bag. Which won't be often, considering the 30-hour battery life. And if that's still not enough time to get to a charger, you can keep listening to music the old-fashioned way via the provided 3.5 mm audio cable. Speaking of the audio cable, as soon as you plug it in, the active noise canceling will turn off, no matter how much battery the headphones have. 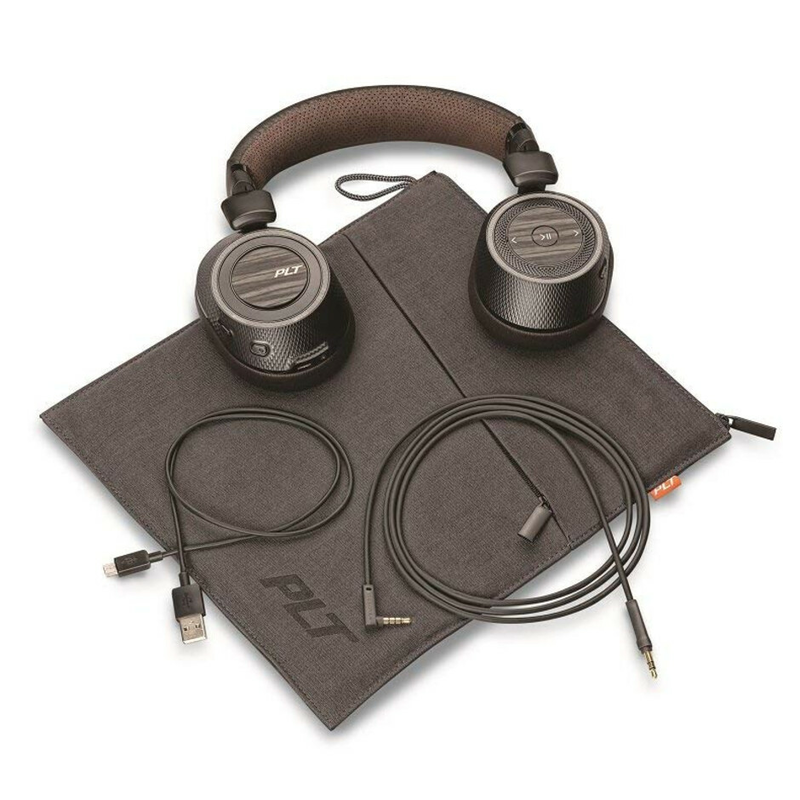 These foldable bad boys will probably win you over with their premium build, which features minuscule amounts of plastic and mostly relies on aluminum and faux leather, giving them a luxury feel and look. 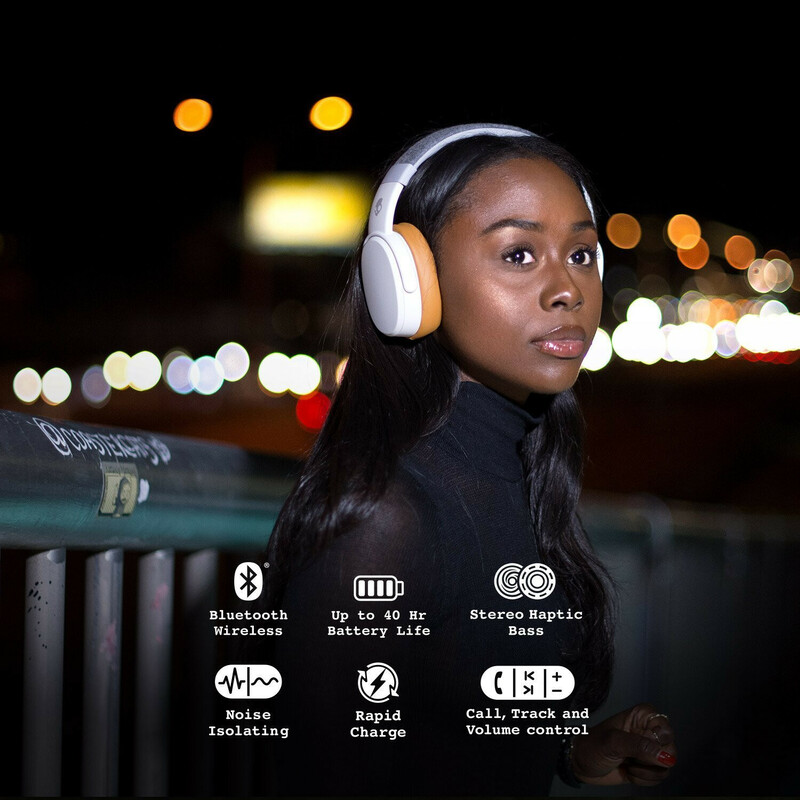 With active noise canceling on deck and a foldable design, these are a perfect fit for commuters willing to shield their ears from the outside world and immerse themselves in mumble rap or 60s evergreens. 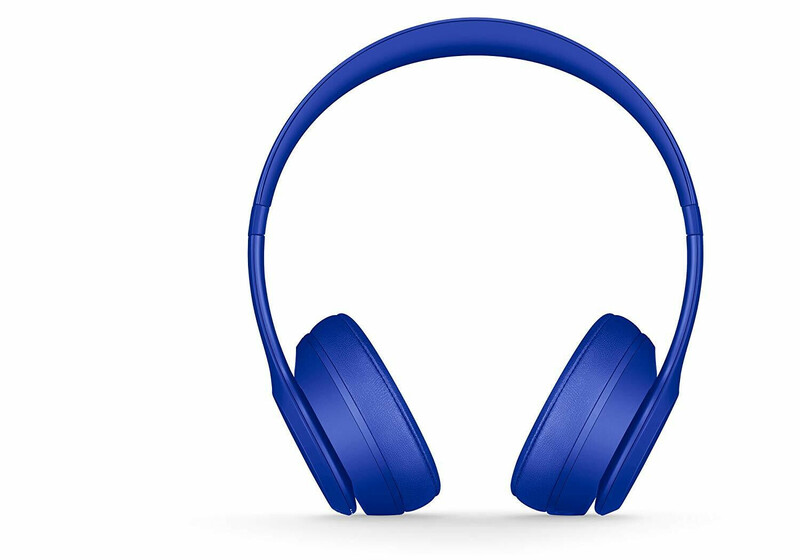 Compared to the other pairs, the 16-hour battery life leaves more to be desired, with the active noise canceling gone after just 8 hours. 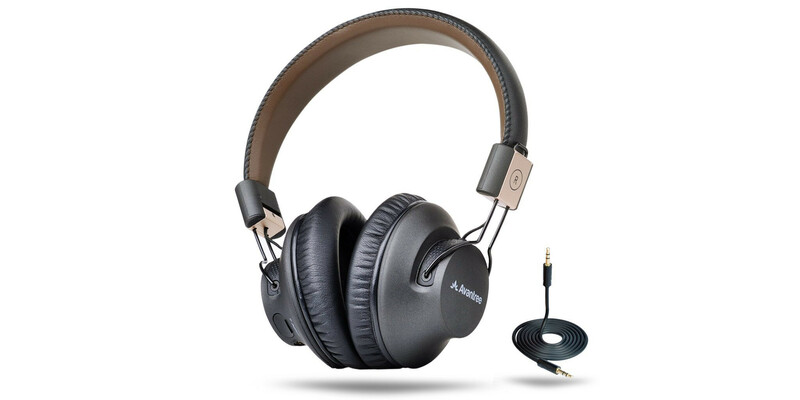 These Avantree over-the-ear headphones set themselves apart with their exceptional battery life, which will net you up to 40 hours of your favorite tunes with a full charge. Thanks to their foldable design, you can easily tuck them away when you don't need them. 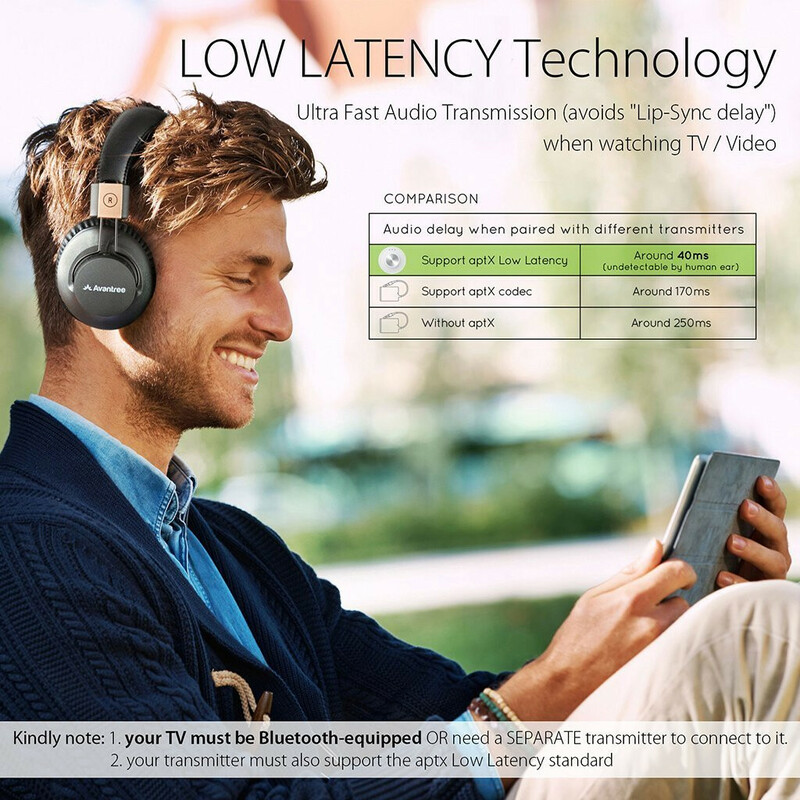 Another noteworthy addition is the low-latency aptX support, which would severely limit any issues you might have with the likes of undesired audio latency. 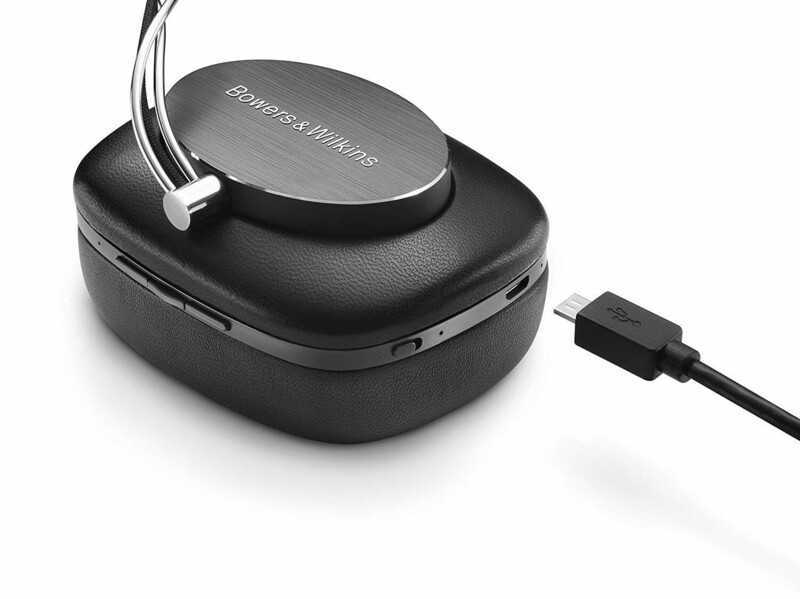 There's multi-point connectivity as well ― you can connect two devices simultaneously with these headphones. Of course, like almost all wireless earphones, you can also hook up a 3.5mm audio cable and not deplete the built-in battery. 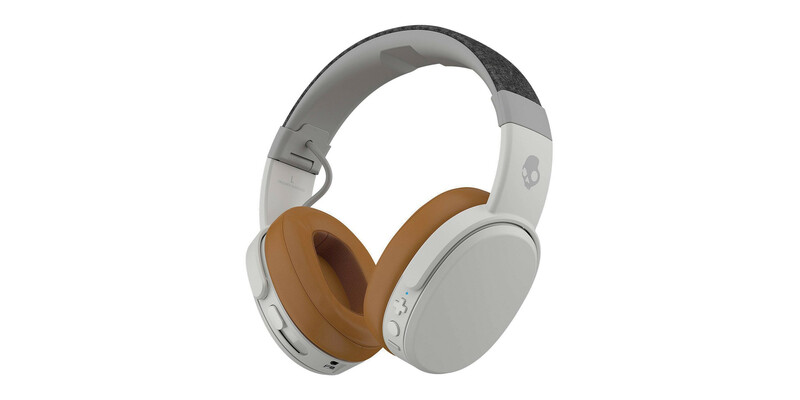 The Skullcandy Crusher are not for everyone ― the fact that they are loaded with features to the brim is superb, don't get us wrong, but their weight might be be an issue for some. They tip the scales at 0.63 pounds. Thankfully, that's possibly the only big downside here ― battery life, overall comfort, and connectivity options are all top-notch. 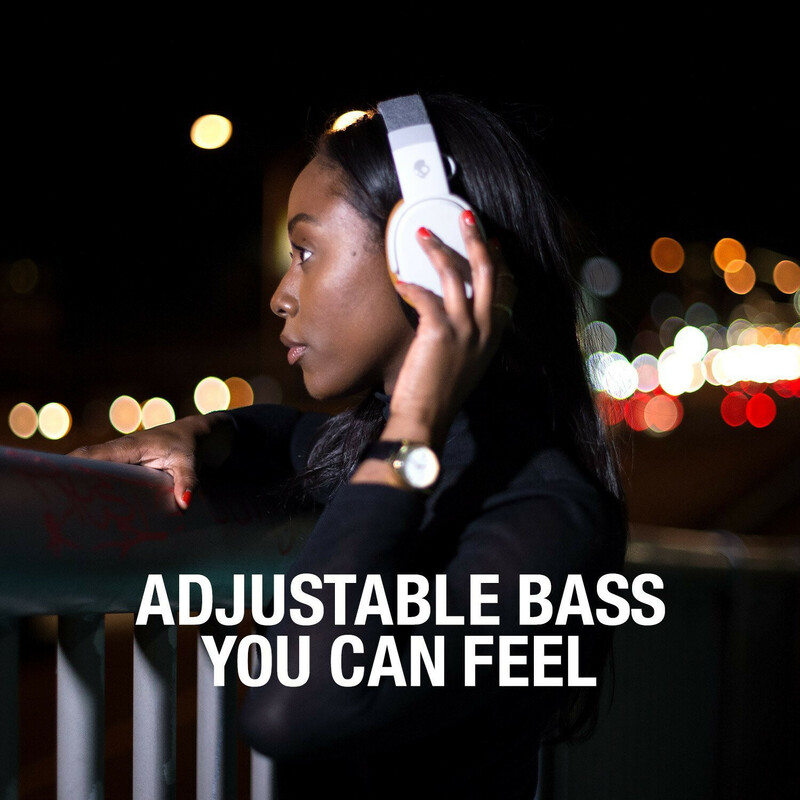 The audio quality is nothing spectacular, but if you like to really feel the beat, the haptic bass feature will make your head tremble. You can eke out more than 40 hours out of the internal battery and fall back to 3.5 mm audio jack connection should you deplete it. On-ear headphones have some drawbacks that make most people look past them, but that doesn't mean there aren't any worth buying. The AKG Y500s are a great pair if you're looking for something smaller that still offers premium sound while you're out and about. Rated at 33 hours of playback time, a single charge should last you at least a week's worth of commuting or a few days of almost constant listening. They're probably not the best-suited headphones for the latter use case, however, because wearing them for too long can cause discomfort due to ear squishing, something every on-ear headphone wearer is familiar with. 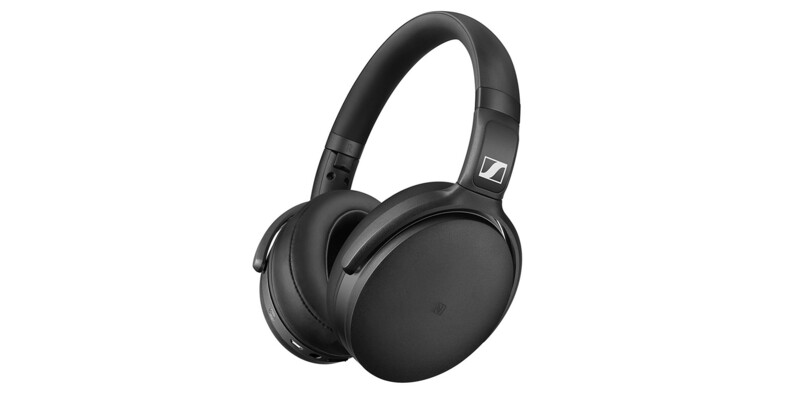 These Sennheisers are a perfect fit for those looking for active noise cancelation and great sound in a pair of headphones that won't add too much weight to your head but still cover you ears from all sides. Bluetooth 4.0, wired connection option, and low-latency apt-X support are also on board. However, the measly 19 hours of battery life when rivals offer upwards of 30 feels a bit disappointing, to say the least. 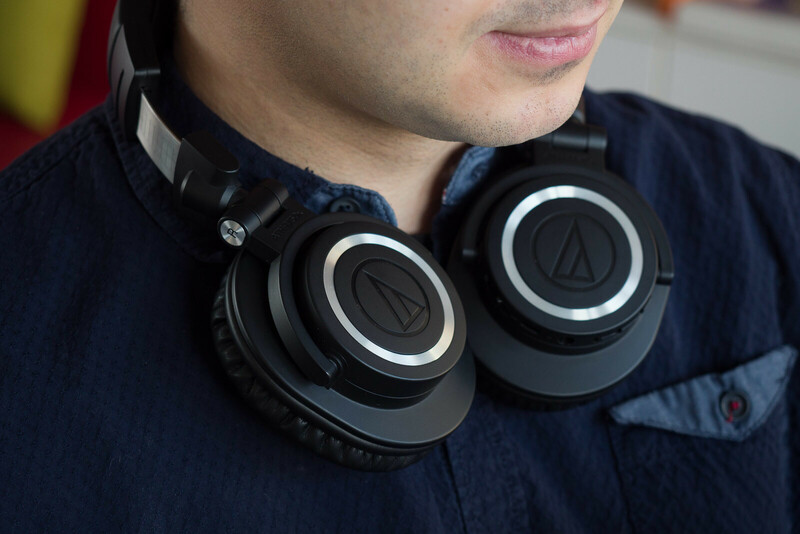 Audio-Technica is one of the big names when it comes to headphones and its wireless variant of the popular M50s is living up to expectations. One look at them makes it clear that music is your thing, and the drivers inside them can prove to anyone you're not just some show-off. The generous padding and the sturdy hinges make these an excellent companion. 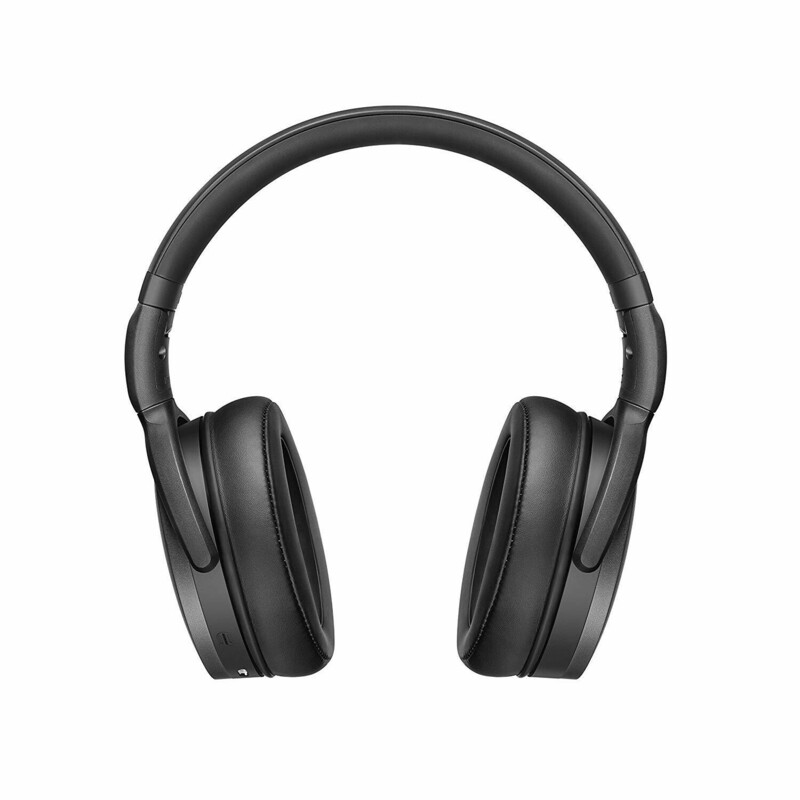 Unlike other options on this list, the M50x don't have active noise cancelation, so you'll have to rely on what the earcups can provide. 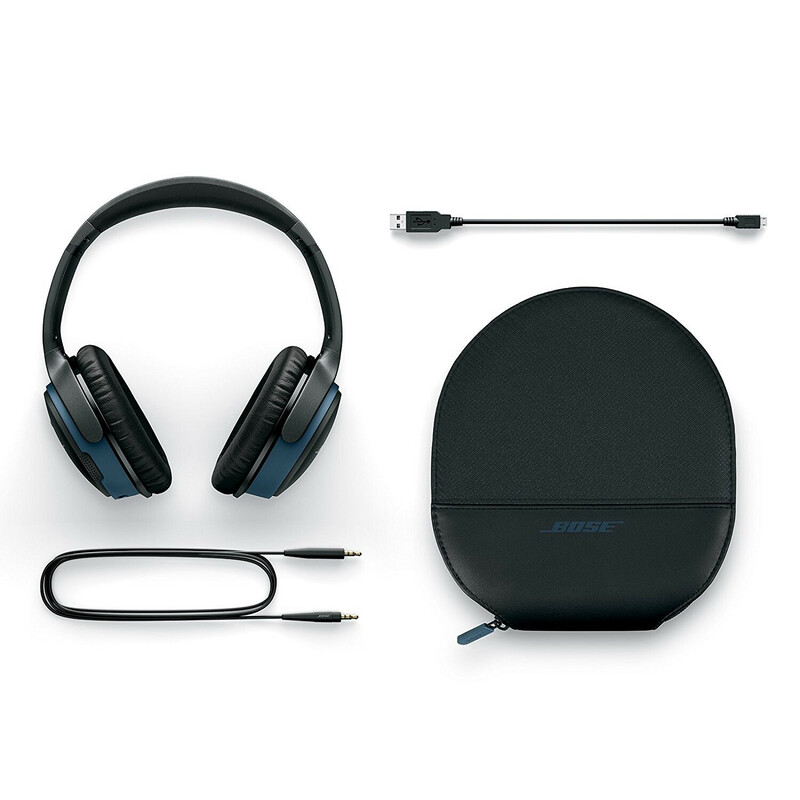 The Bose Soundlink II are for those who want to treat their ears to an excellent experience. 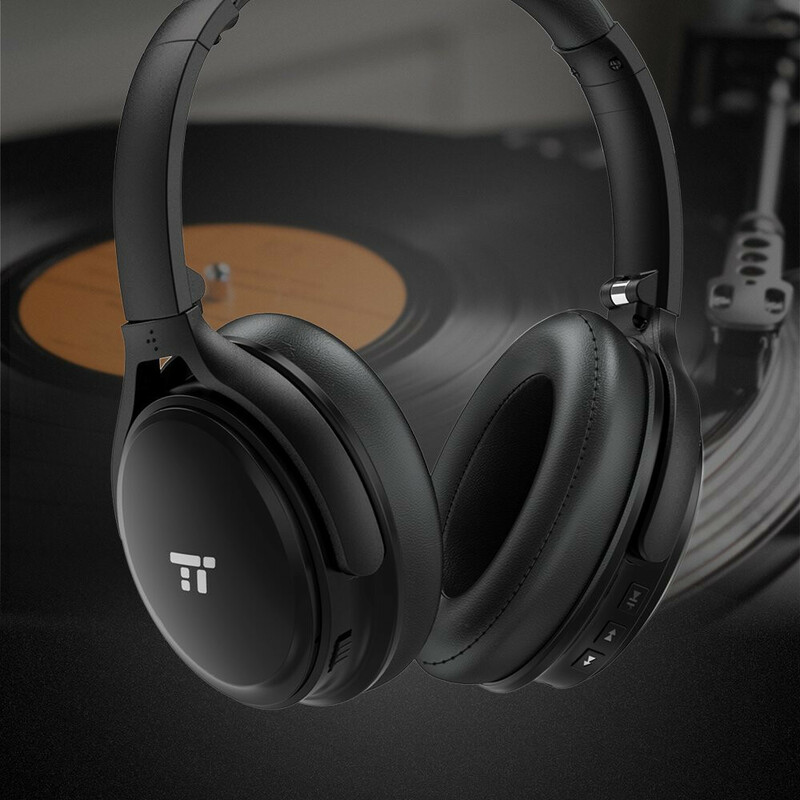 Starting from their super-comfortable fit and exceptional audio quality, these headphones allow you to simultaneously connect two devices wirelessly. You can connect your tablet in order to listen to music and also pair up your phone so that you hear the ringtone when that important call comes in. 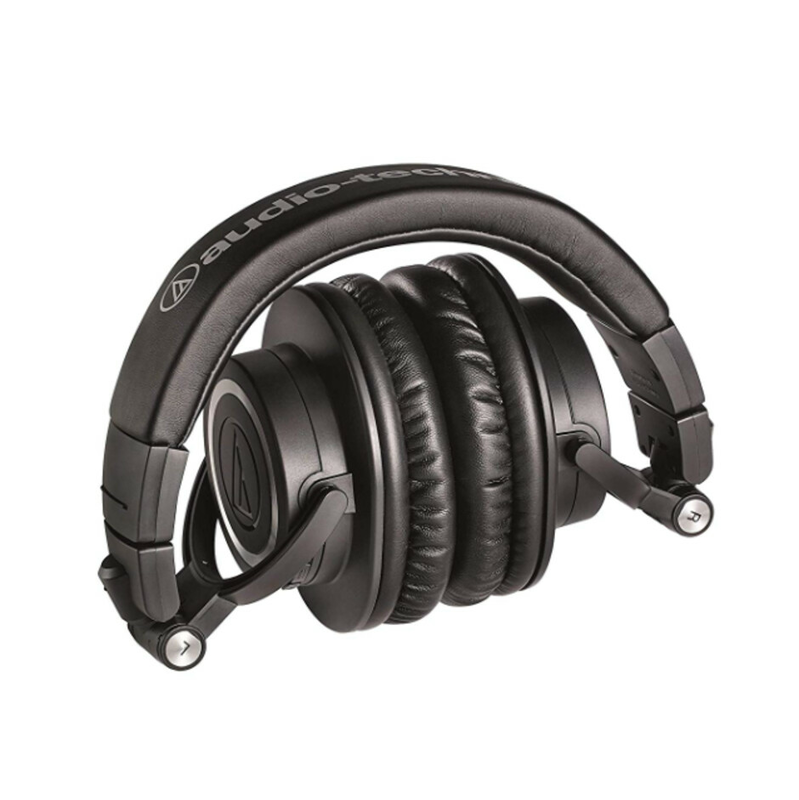 You get up to 15 hours of impeccable audio streaming with these headphones, which sounds great until you see how long some similar headphones last and do it with ANC on top, something this pair is missing. But should the battery get depleted prematurely, you can always plug in an audio jack as a backup plan. Say what you want about the Beats lineup of headphones, but the Solo3 are a viable option if you want to get a fairly-priced "fun" cans that won't necessarily represent music as the artist intended. As usual with Beats cans, these tend to exaggerate bass, admittedly not as much as older representatives of the Beats lineup. This might not be your cup of tea, but in case that it is, well, all the more power to you. 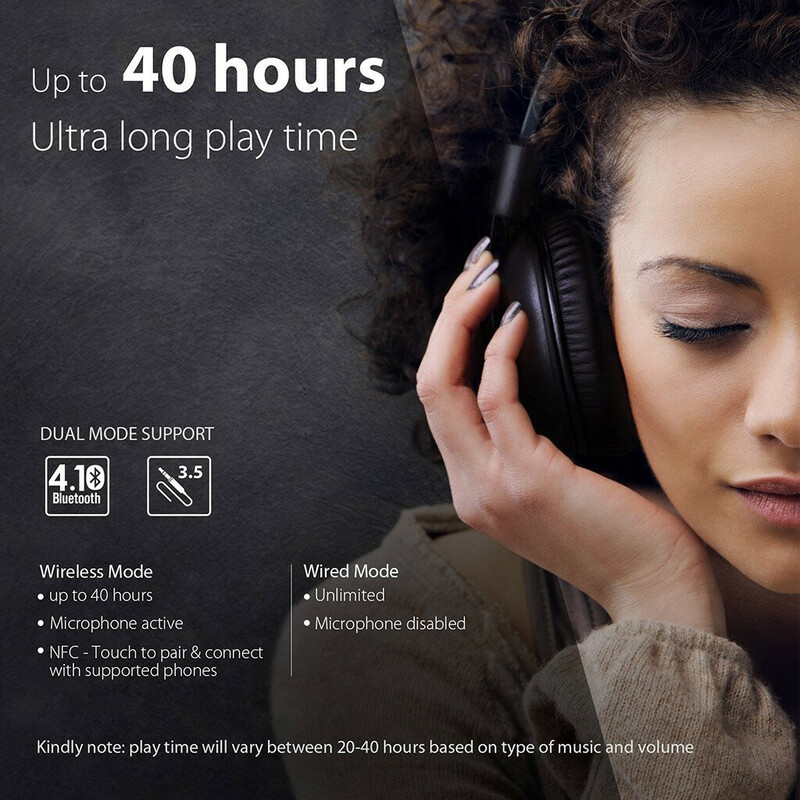 With these headphones you can enjoy up to 40 hours of playback - that's nearly two days of untethered use! Finally, probably the biggest feature - Siri is on board, ready to cater to your needs. The B&O Play H4 is a spectacular pair of cans that will appeal to even the most-demanding ears out there. 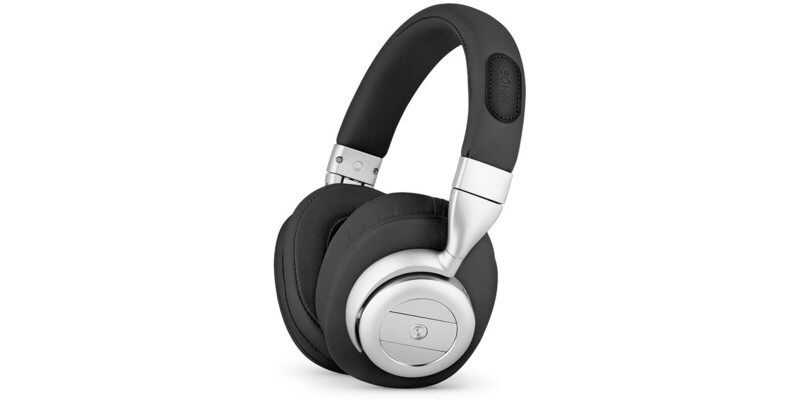 These check almost all the boxes (excellent audio quality for the price, sleek design, wired/wireless connectivity)... almost all except for active noise cancelation, which could be a drawback for some would-be consumers. One other sacrifice made this time in favor of cleaner design was with the earcup ergonomics. Since ears aren't exactly round, those with larger ones might find this pair a bit uncomfortable due to the space inside the otherwise generously padded cups being scarce. 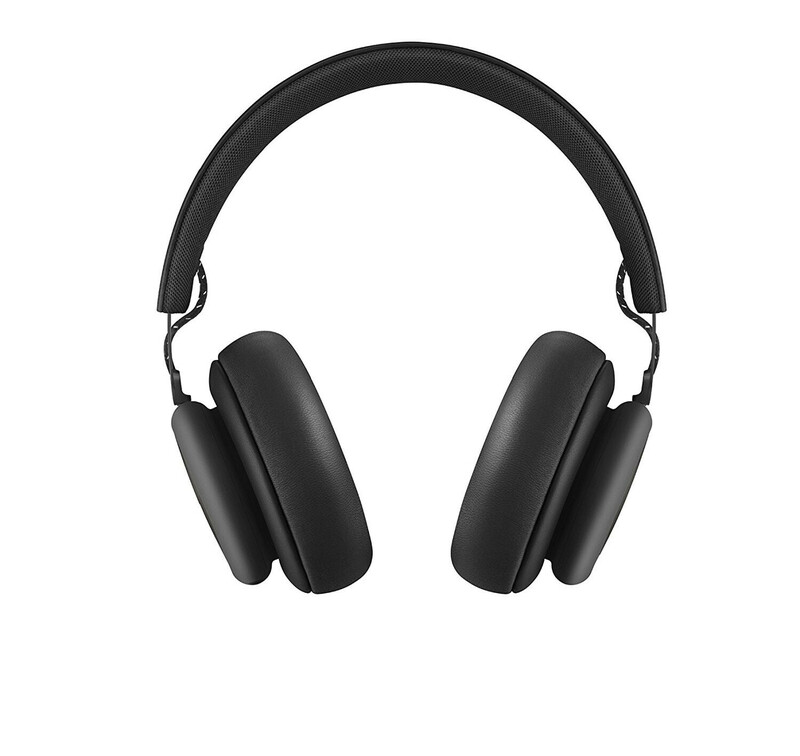 If the pair does fit you well, however, the Beoplay H4 are so light you'll barely notice them on your head after a while. 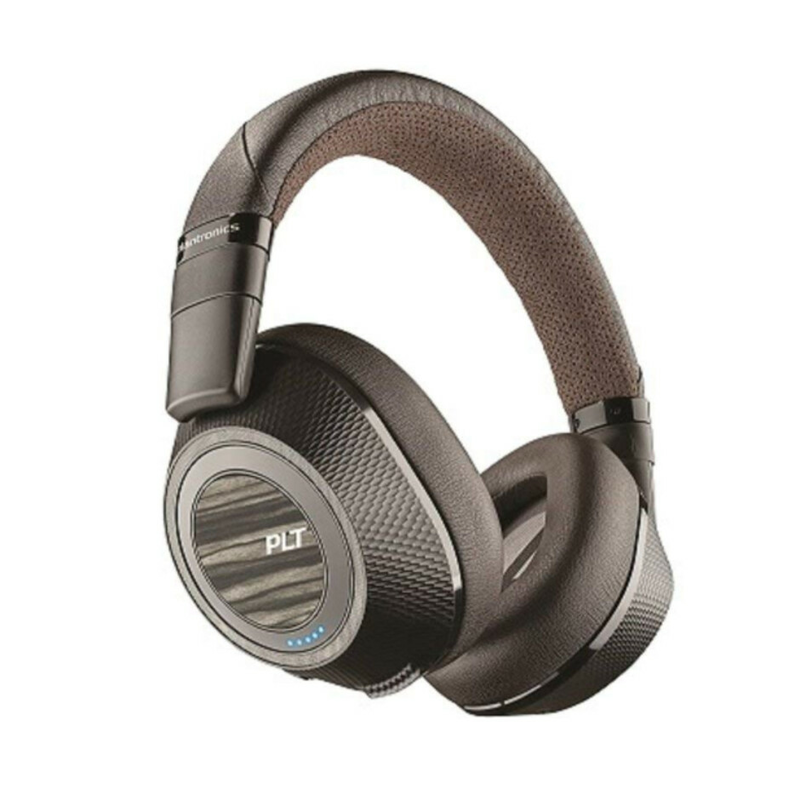 These Plantronics headphones deliver more than acceptable sound quality at a rather stomachable price. 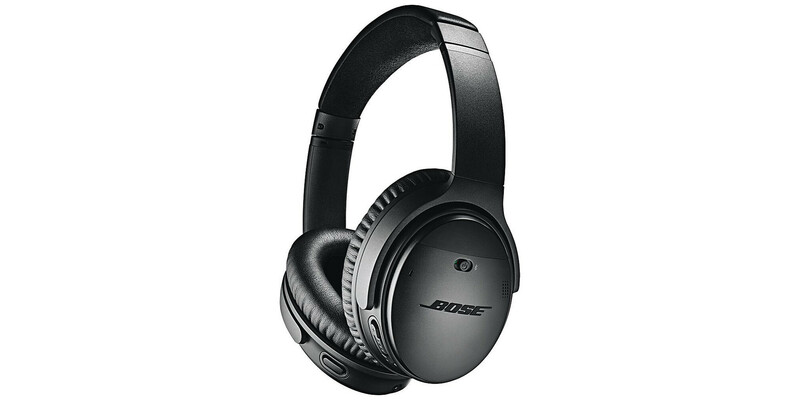 The active noise canceling this unit has is another useful addition to the fray which would let you isolate yourself from the surrounding world and indulge into your guilty pleasure tunes. You can do that for up to 24 hours on a charge, which is in the ballpark of what other similar headphones deliver. Another intriguing feature is the auto-pause one, which automatically pauses the playback should you remove the cans from your head - super user-friendly! 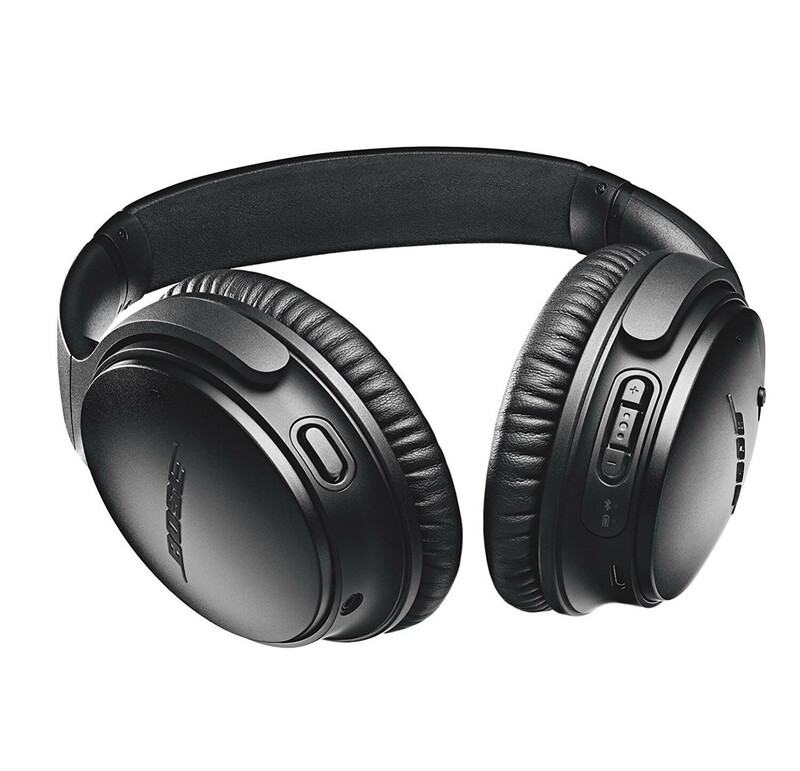 Enter the Bose QuietComfort 35 II, a pair of cans that feature one of the most refined noise-cancelation systems out there, based on decades of Bose's expertise in the field. 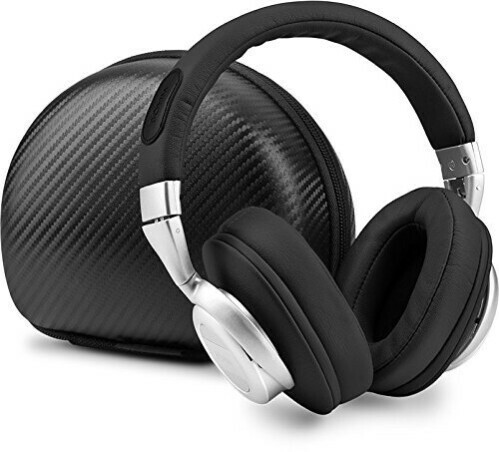 Featuring a dedicated noise-cancelation button that cycles between a couple of different modes, these headphones will completely cut your out from the surrounding aural world. 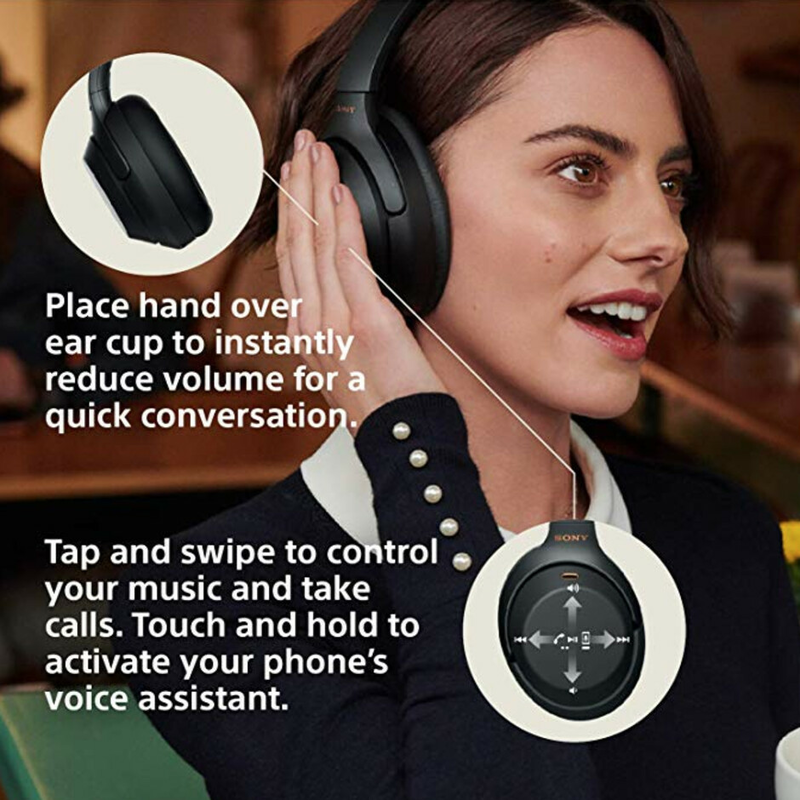 Additionally, up with the times, the headphones feature a dedicated, multi-functional button that lets you access your smart assistant of choice, be it Siri, Google Assistant, or even Amazon's Alexa in the near future. 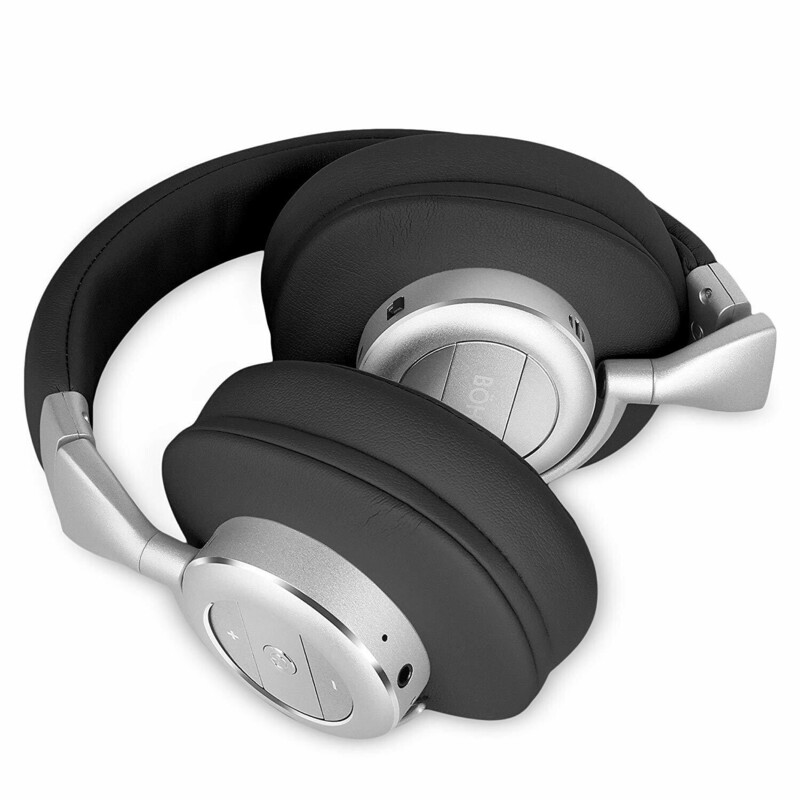 You get up to 20 hours of audio playback with these, as well as up to 40 hours of active noise canceling in wired mode. 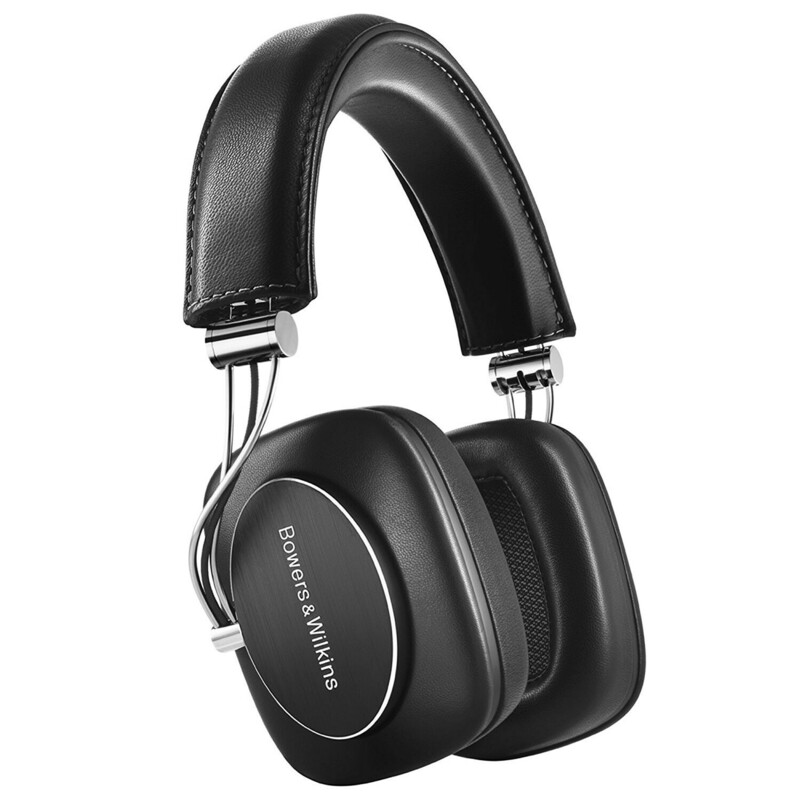 The Bowers & Wilkins P7 are a pair of headphones aimed at users who are dabbing with audiophile-grade technology. While they can't hold a candle to higher-end wired headphones, these are among the best wireless ones audio purists can get. You will hardly find any quality fault with these, but battery life could potentially disappoint ― you will get 17 hours between charges at best, while cheaper cans would normally offer up to twice the battery longevity. Now we're talking ― these vintage-styled Sennheiser Momentum 2.0 are in a league of their own when it comes to sound quality. 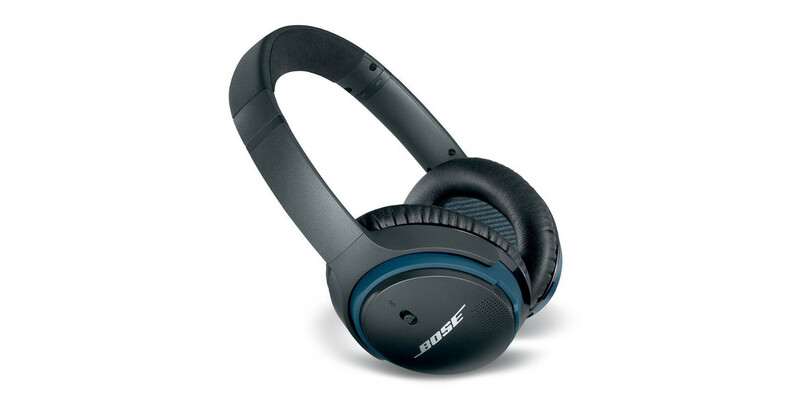 Active noise cancelation is also on board, similar to what you can find on other high-end wireless over-the-ear cans, but it's a tad less impressive than, say, the Bose QuietComfort 35 II we featured earlier. In situations where you're prevented from using Bluetooth on planes (at takeoff or landing), you can use the Momentum 2.0 wired with the provided 3.5mm audio jack adapter. 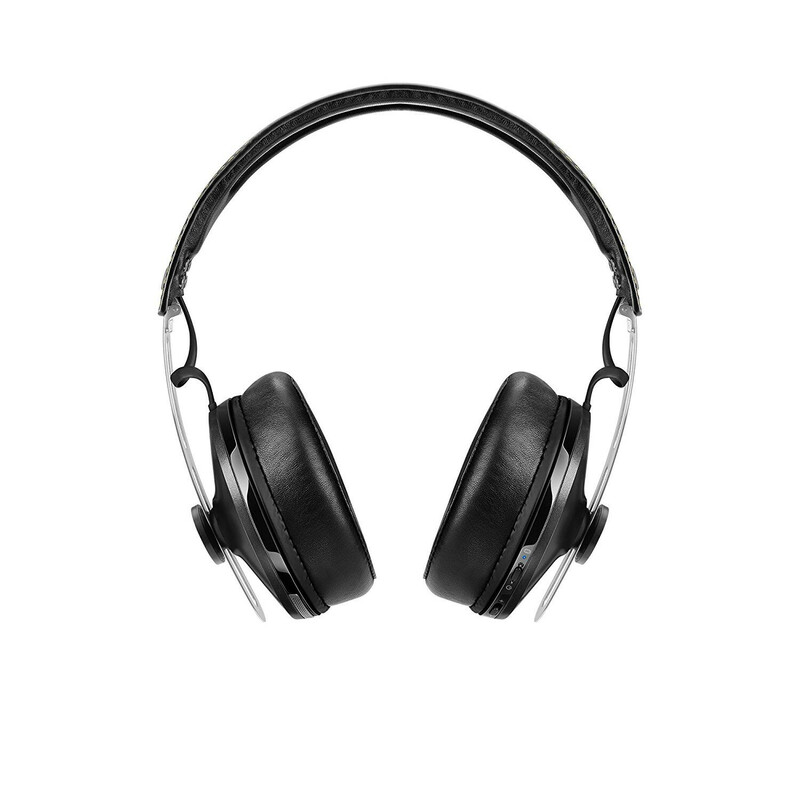 When you're going wireless, Sennheiser promises up to 22 hours of audio playback with active noise cancelling turned on. Oh, and did we mention the cool vintage design? 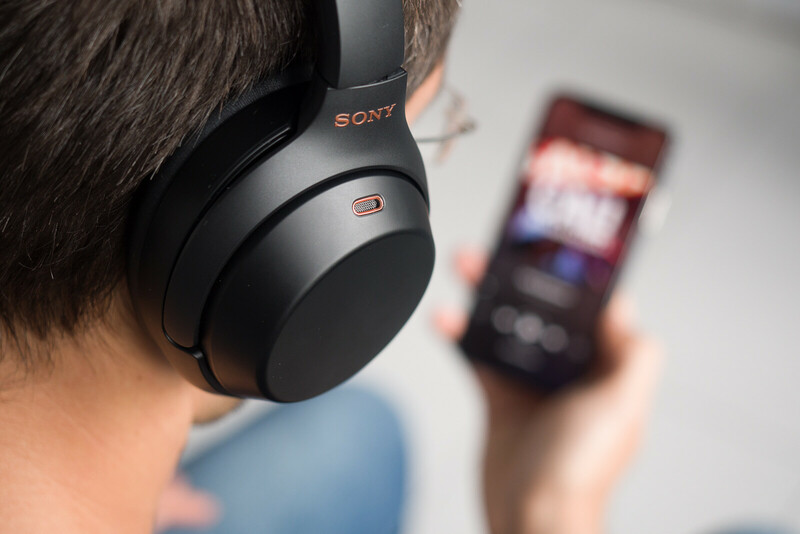 Sony's 2018 refresh of their high-end wireless headphones has brought active noise cancelation to another level. Meant for people who don't want to sacrifice sound quality just because they're on the go, they'll separate you from the outside world like never before. 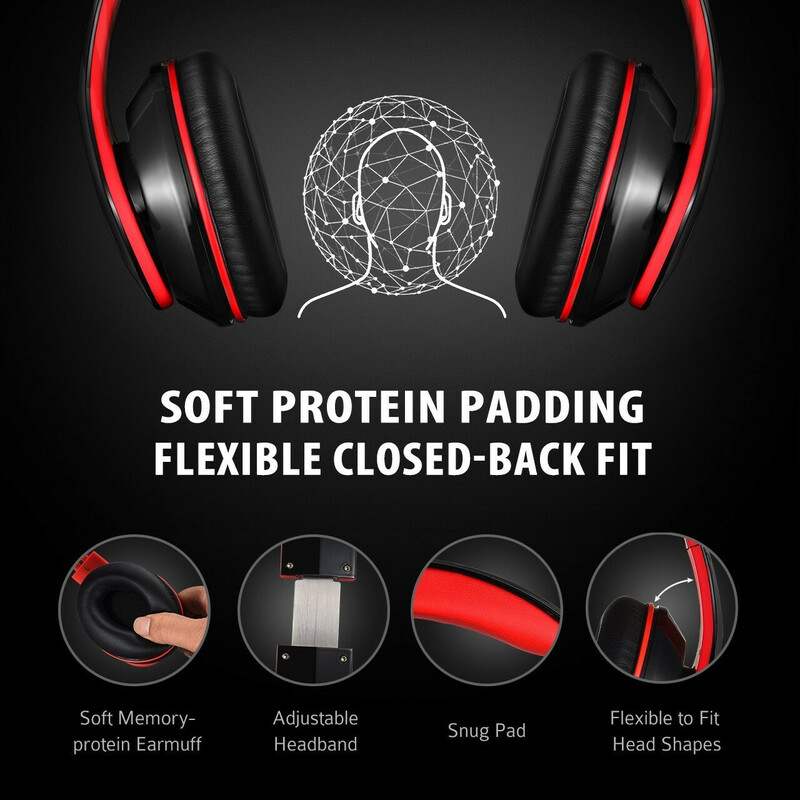 Their design isn't making any statements, instead focusing only on functionality, making the headphones easy to carry with you and less noticeable when you're wearing them. 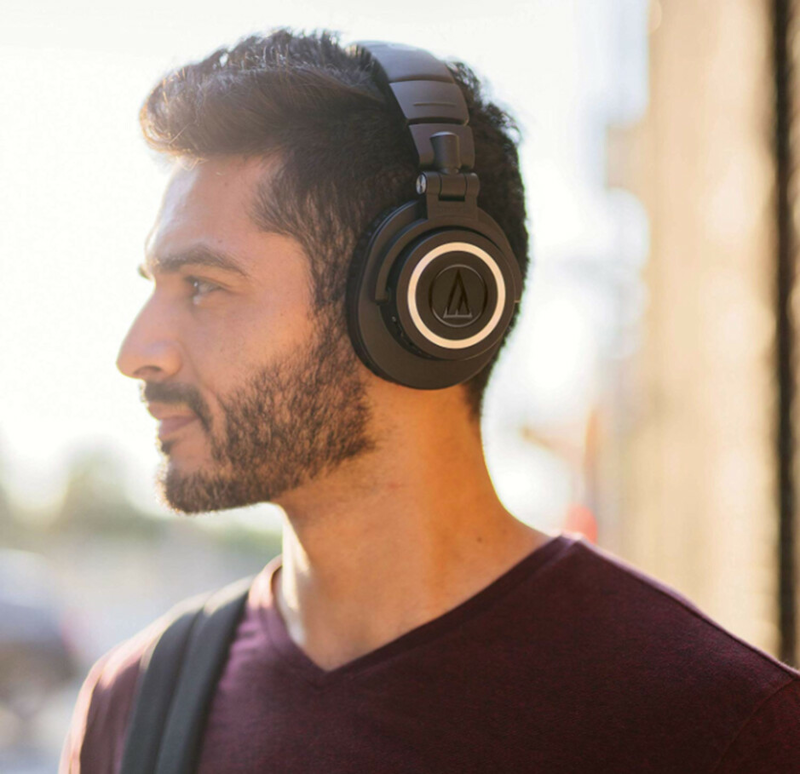 The 30-hour battery life will get you through the longest flights and airport layovers, so you can remain in your audio cocoon until you reach your destination. 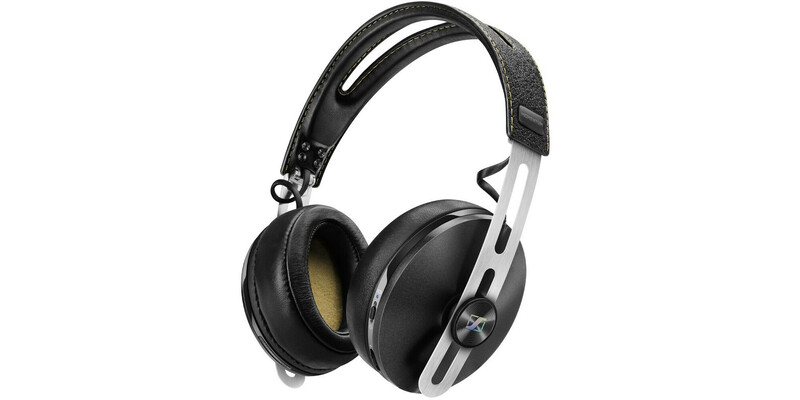 I have the Sennheiser momentum 2.0 so far the best pair of headphones I've owned. The sound quality is sooo goood. Better than the bose quiet comfort in my opinion. I tried both befor buying, and I think the senn are a bit better. This just looks like an Amazon list. Are any of these even tested. I don't know about the rest. But they did recently posted the review of Sony WH1000XM3 here, just a few days ago. And did you read that "review"? They did not even test LDAC. 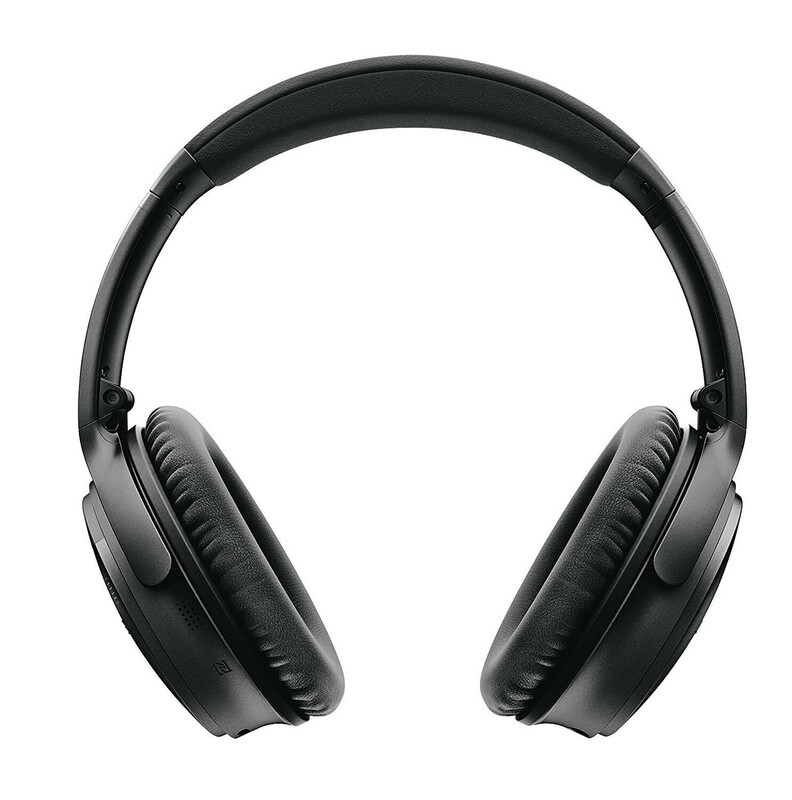 Btw the momentums also have wired/wireless mode, but noise cancellation doesn't work wired. 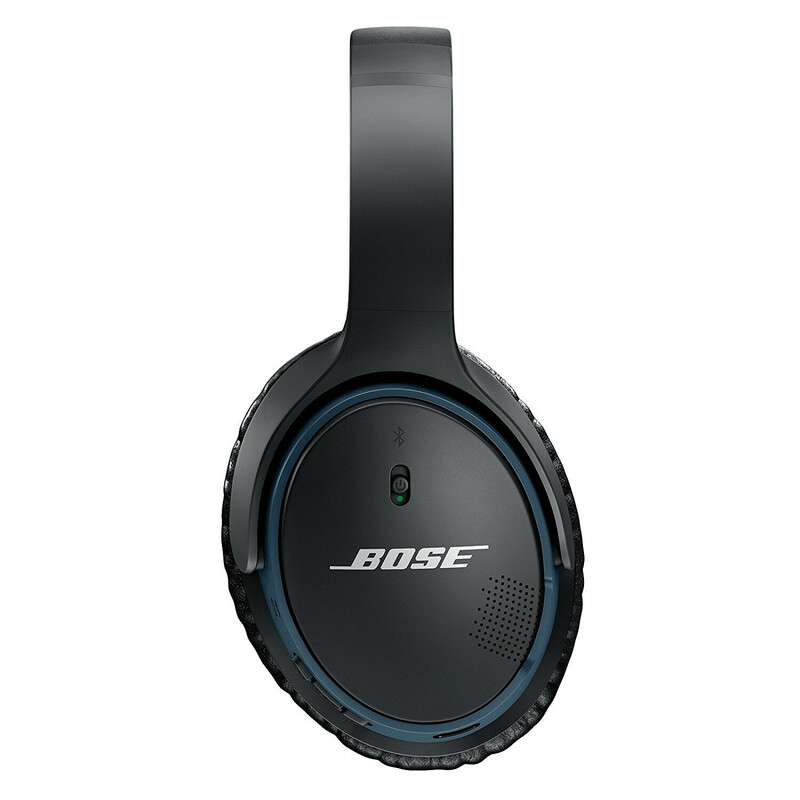 Although expensive, it looks like the Bose QC 35 II is the best choice. For me at least. SBC codec ... meeh. Low quality codec and incredibly high latency. I'm glad to see brands on here that isn't just exclusively American or massive brands. I'm very glad to see B&O on this list, as they definitely deserve to be on it. Their design, build quality and premium materials are second to none. Sound quality is a personal matter, so that depends on the inidivudla, but they definitely aren't bad in that department either. 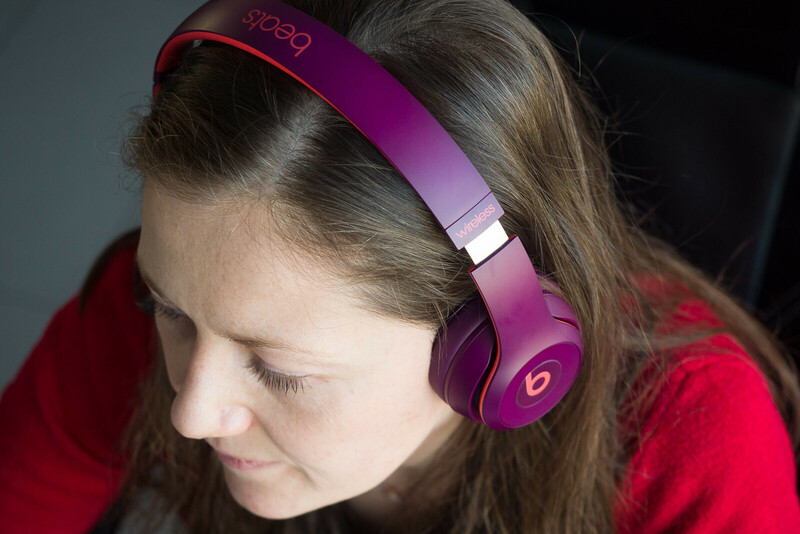 I don't really agree with the Beats Solo 3 on this list, as i think there are better headphones out there in that price range. I feel like if i Beats headphone should be on this list, then it should be the entry-version Beats EP. They're quite good for the price. 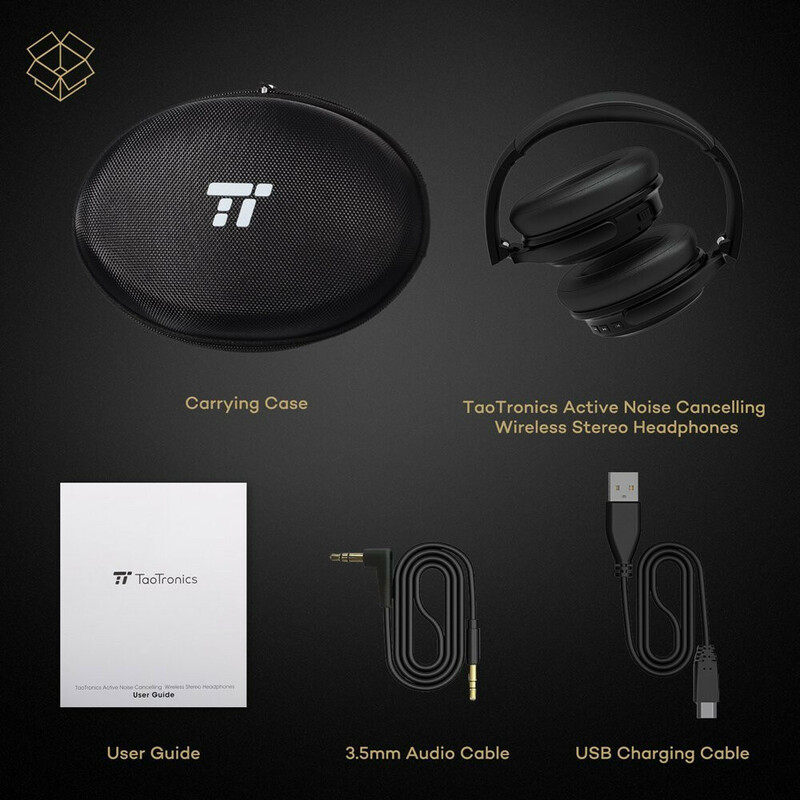 I don't listen much to music using headphones, but for my other headphone-needs I find my Taotronics TT-BH17 sufficient. 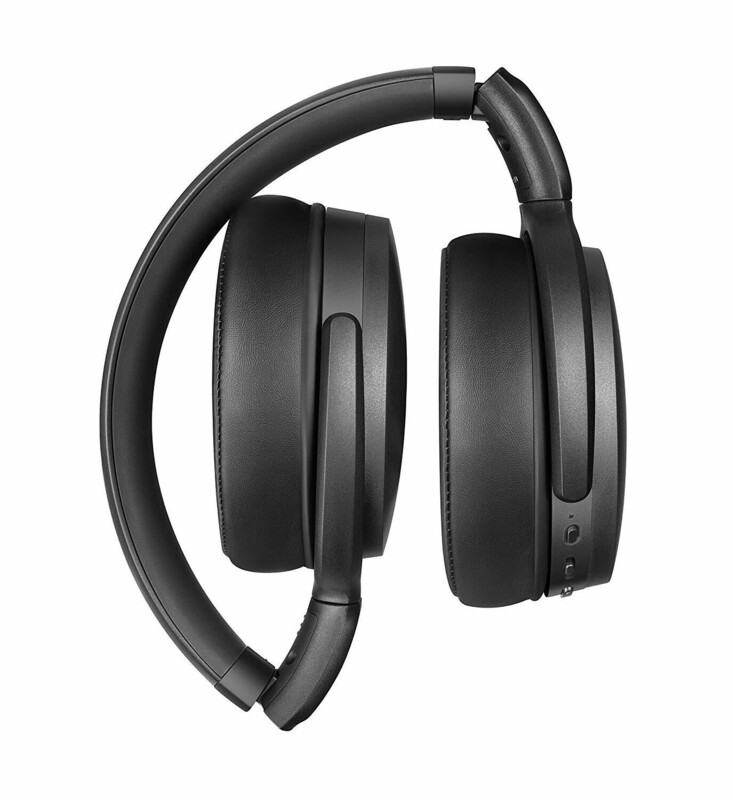 But if I needed a good pair with active noise cancelling, I would get sony. 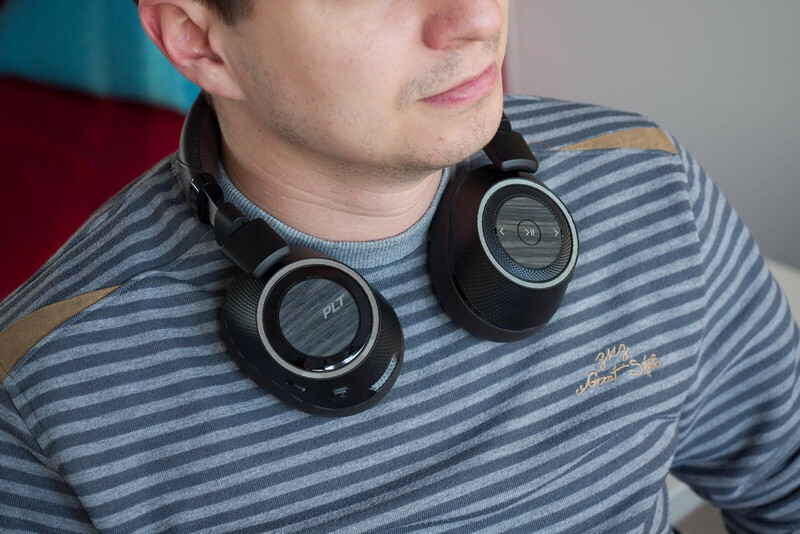 I've recently tried a pair and was impressed by how light and comfortable they are and how well noise cancelling works. So many garabage headphones in this "arcticle". Are you serious? 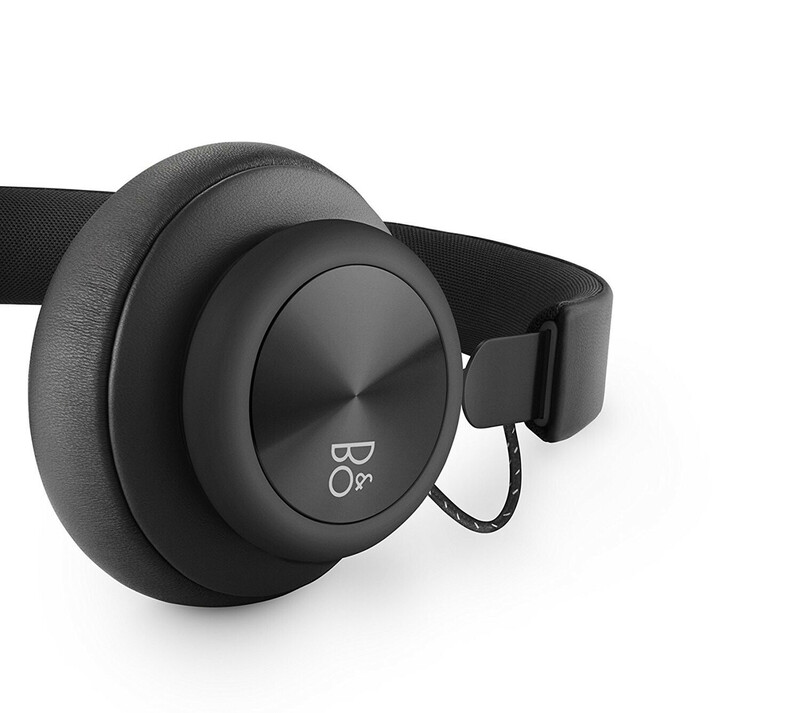 The Beoplay H4 are one of the most beautiful designs on this list. 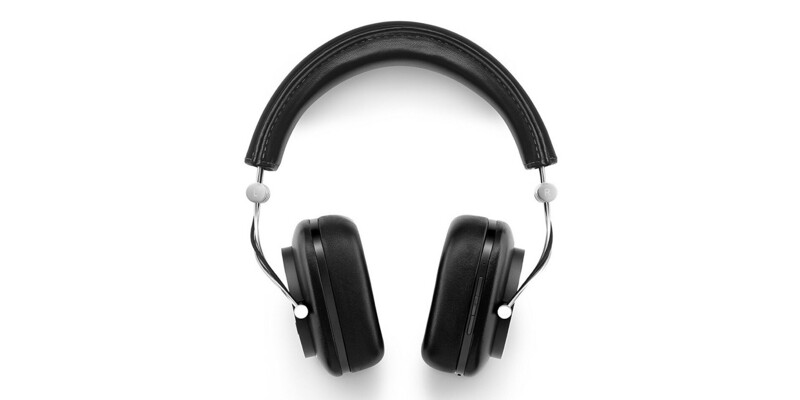 Furthermore, the Beoplay H4 is made out of more premium materials than pure plastic like most of these headphones. The fact that something doesn't have RGB lights and crazy colors everywhere doesn't make it "boring". 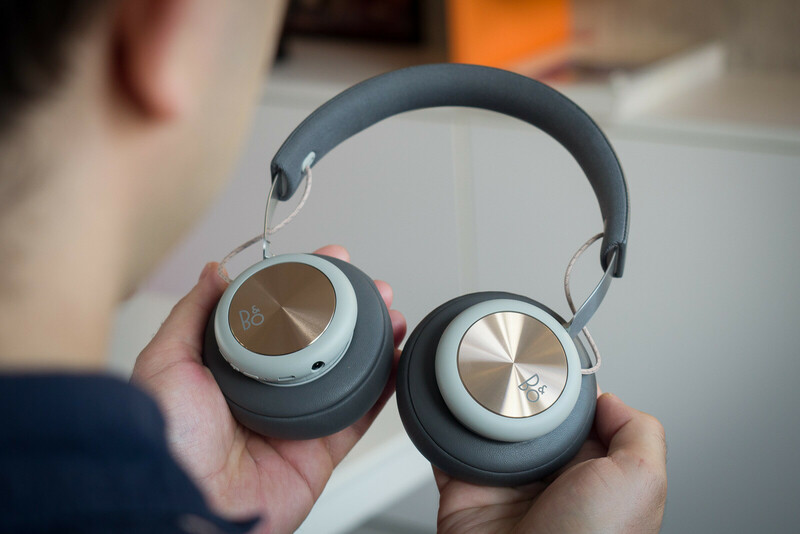 The Beoplay H4 shows elegance and class. It's something that everyone could wear outside without feeling awkward. You couldn't say the same for the Avantree. Not sure why the Sony WH-1000XM2 aren't on here. "Plantronics Blackbeat Pro 2" Those "Blackbeats" though.